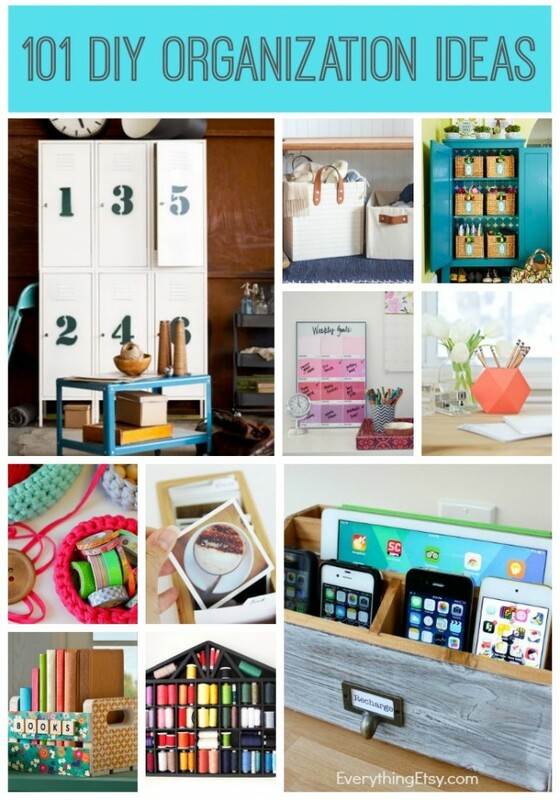 Oh my gosh, have you seen all the cool DIY home organization ideas on Pinterest? Could you use a little organization like me? How do things get soooo out of control? I love pretty boxes and baskets, but I hate to pay for them. When you need 10 boxes at once it can sure add up quick! That’s why making containers to match your home decor is the best way to go! Anyway…enough about me and my mess. 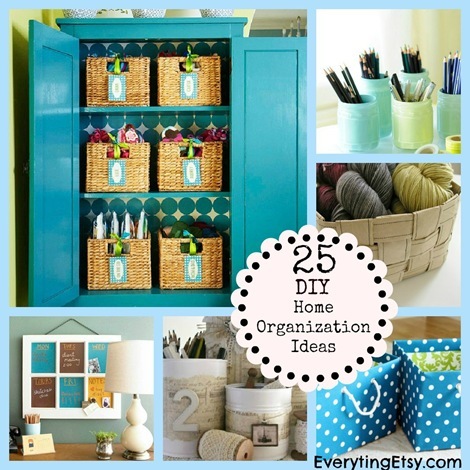 Here are 25 DIY home organization ideas you’ll want to take a peek at for sure. 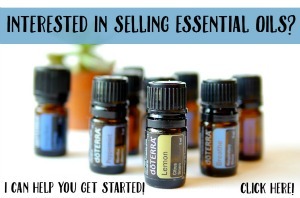 Get in the spirit of organizing and make a few! Frame Ribbon Holder – Scrapbooks Etc. That ought to get you started on the road to being super organized! So many of these ideas can be made with things I bet you already have around the house…ya gotta love that!!! Have you made any of your own storage containers? I’d love to hear about them in the comments! Looking for more great DIY ideas for your home?? Check out this post with 25 Ikea Hacks to help make your home beautiful on a budget! Don’t miss our new Project Gallery full of lots and lots of great DIY gifts and other home decor tutorials! Beads and wire are taking over my house!! Any storage ideas for organizing a million different types and colors of beads, spools and pieces of wire, etc? Thanks!! Hi! I wish I could post a pic of what I did – i make jewelry too and my crap was taking over! bead i put in jars and different little fun containers ive saved, and the wire is rolled and put on a hook on a peg board. it works SOOOOO well. i can see it all so I know what I have, but its out of my way! Hey Anna! Beads and wire…sounds like fun! When I was in high school my dad gave me a little cabinet thingy made for holding nuts and bolts to organize all my beads. It had about 30 little plastic drawers and worked great! I’m at a loss about what to do with the wire…lol! Love. Love. Love. This! I have been on pinterest almost every day looking for storage ideas that are cheap and easy. 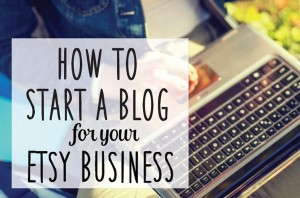 Lisa – I know exactly what you mean and it seems like I never have the tutorials when I’m in the mood to organize a bit…now I do. I’m glad it can help you too! Thanks for your sweet comment! A great list, thanks for including my rope containers. Thank you so much for featuring my closet organizer. I just realized I was getting a lot of traffic from your website and I really appreciate the shout out.